Jefferson Davis State Historic Site marks the birthplace of the Confederate president, Jefferson Davis. Davis was born on this site on June 3, 1808. Kentucky has always taken pride in the fact that the President of the Union (Abraham Lincoln) as well as the President of the Confederacy (Jefferson Davis) were BOTH born in Kentucky. In fact, President Lincoln was born just over eight months later and less than 100 miles to the northeast. 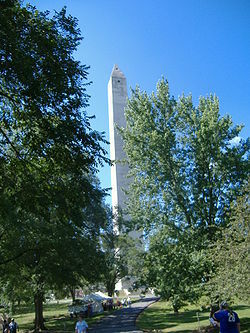 This Historic State Park features a 351-foot monument (obelisk) that was completed in 1924, 35 years after Davis’ death. It even includes an elevator. There is a large Amish community in the surrounding area, so it isn’t uncommon at all to frequently see horses and buggies. Jefferson Davis State Historic Site also has a museum, gift shop, playground, and picnic area. Jefferson Davis was a graduate of West Point. Davis served as both a U.S. Congressman and U.S. Senator (from Mississippi). He also served as Secretary of War under President Franklin Pierce. Jefferson Davis married Knox Taylor – daughter of President Zachary Taylor. She died from Malaria only three months after their wedding. The gift shop features Kentucky handcrafts, souvenirs, books and Civil War memorabilia. The site is open 9 a.m. to 5 p.m. daily through October. There is a fee for the museum and monument. The monument is the world’s tallest concrete obelisk and the United State’s fifth-tallest monument. The site is 9 miles east of Hopkinsville on U.S. 68. Mammoth Cave National Park was established to preserve the cave system, which includes not only the infamous Mammoth Cave, but the scenic river valleys of the Green and Nolin rivers, and a section of south central Kentucky as well. Within Mammoth Cave National Park lies the longest, and most remarkable cave systems on earth, with over 350 miles of passageway mapped and surveyed. Little wonder it was named Mammoth. Stalactites grow downward they hang “tight” to the ceiling while stalagmites grow upward they “might” reach the ceiling someday. Mammoth Cave’s formations include many types of calcite formations. Even after 4,000+ years of eager exploration, this water-formed labyrinth still remains a mystery. It’s this fact, of course, that adds to its beauty and excitement. 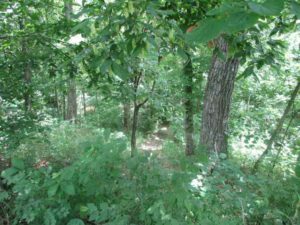 Mammoth Cave National Park should be on everyone’s MUST SEE list – and maybe it’s because I’m a Kentuckian, but I think it should be very near the top. This is one extra, extra special place. The type of place you have to see to believe. The photography opportunities, alone, make a family trip to Mammoth Cave National Park more than worth it. Mammoth Cave National Park: Cave Tour! 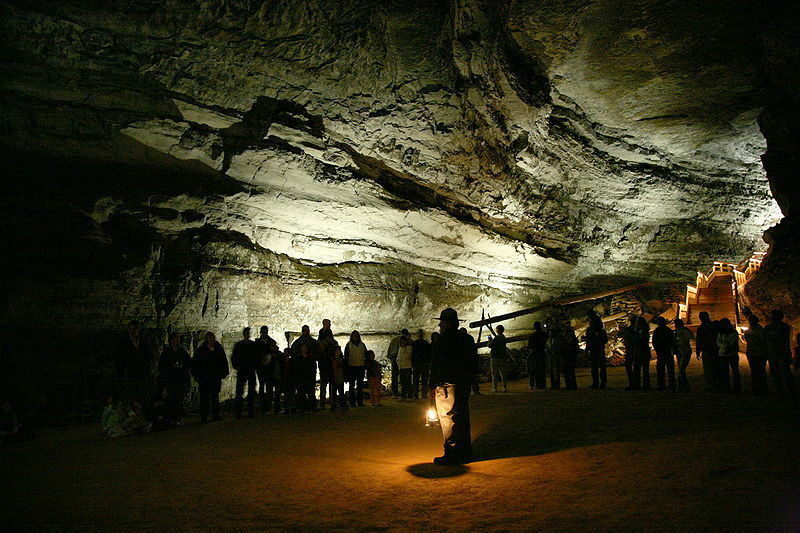 The National Park Service offers several cave tours to visitors. Many of the most famous features of the cave, such as Grand Avenue, Frozen Niagara, and Fat Man’s Misery, can be seen on lighted tours ranging from one to six hours in length. Two tours, lit only by visitor-carried paraffin lamps, are popular alternatives to the electric-lit routes. 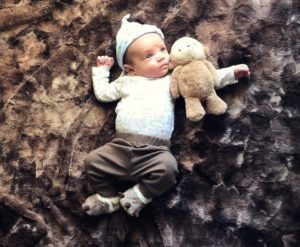 Several “wild” tours venture away from the developed parts of the cave into muddy crawls and dusty tunnels. The park’s tours are notable for the quality of the interpretive program, with occasional graphics accompanying artifacts on display at certain points in the cave. The lectures delivered by the National Park Service cave guides are varied by tour, so that in taking several tours the visitor learns about different facets of the cave’s formation, or of the cave’s human history and prehistory. Picnicking, horseback riding, bicycling, camping and more. Click HERE for the Summer Cave Tours Schedule. All cave tours and nature walks are pretty strenuous, so be sure you’re up to a particular tour before setting off. Ask questions, the rangers can let you know exactly what will be involved. Trails can be slick, so be certain to wear appropriate shoes. All tours have a strict policy requiring the visitors to wear shirts and shoes. Camera tripods and monopods, child strollers and infant backpack carriers are prohibited in the cave for visitor safety. For further safety advice and tips, be sure to read the literature available at the park. Most of it’s common sense, but read it all to be on the “safe side,” literally. Many believe that the best way to experience Mammoth Cave National Park is to camp out amongst the beauty. 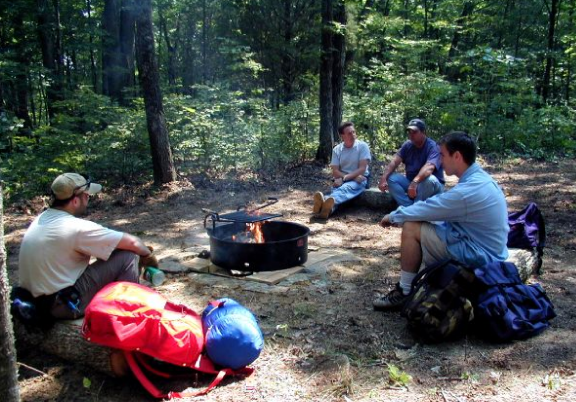 The park offers camping in three developed campgrounds and in more than a dozen primitive sites in the backcountry and along the Green and Nolin Rivers. Visit http://www.nps.gov/maca/planyourvisit/camping.htm for more information regarding the different campgrounds. 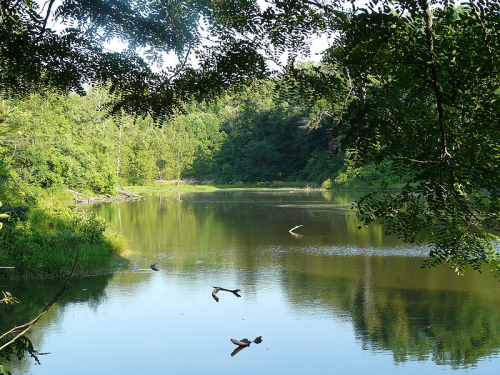 The Green and Nolin Rivers course more than 30 miles through Mammoth Cave National Park, offering hours of boating, canoeing, fishing, and floodplain camping. Mammoth Cave is the world’s longest known cave. As for the competition, if the second and third longest caves in the world were joined together, Mammoth Cave would still be the planet’s longest cave. But that’s not all, there’d be over 100 miles left over! Now tell me that’s not something you want to see close up and personal? 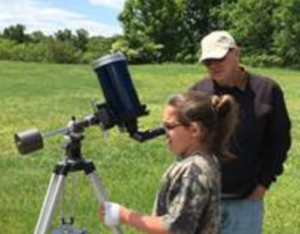 Kentucky State Parks: Labor Day Weekend Events! The Kentucky State Parks will be in full swing with events and activities during Labor Day Weekend. All 32 campgrounds will be open and many parks are planning special festivities for guests. The park systemÃ¢â?¬â?¢s 17 resort parks Ã¢â?¬â?? all with lodges, full-service restaurants, hiking trails, playgrounds, picnic areas and other amenities Ã¢â?¬â?? will be open. The recreational parks and historic sites will also be open. Most have hiking trails, picnic areas, camping, fishing and other recreational opportunities for guests. Golfers have 18 courses across the state from which to choose. Several courses have received national honors for being among the best places to play. The Kentucky State Parks also offer golf packages that include overnight stays. While the tomahawk was a formidable weapon, unlike the movies, it was probably never actually thrown in frontier warfare. However, games of skill were common on the frontier. Join the park Ã¢â?¬Å?expertÃ¢â?¬Â for a talk about the history of games of skill and a chance to test skill with a tomahawk. This program is open throughout the day and is part of the Pioneer Museum Summer Series. It is free with paid admission to the museum. 1-800-443-7008. You can be someoneÃ¢â?¬â?¢s hero! The Central Kentucky Blood Center Blood Mobile will be just outside the Blue Licks Battlefield State Resort Park Pioneer Museum. All blood donors will receive complimentary passes for the Pioneer Museum and be eligible to win door prizes. Donate blood between 11 a.m. and 3 p.m. on Saturday. Call the park at 859-289-5507 or 800-443-7008 for overnight accommodations, directions and additional information. 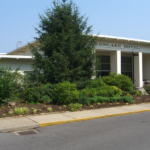 The park will host a one-day juried Arts & Crafts Festival featuring handmade items. The gala includes a variety of demonstrators, all-day entertainment, food concessions, FarmerÃ¢â?¬â?¢s Market and activities for kids. 866-462-8853. The Central Kentucky Blood Center will be conducting a blood drive in the Recreation Hall of the campground from 10 a.m. to 5 p.m. All donors will receive a t-shirt, a gift and will be entered into the door prize drawings for gift certificates from the park and area businesses. Open to the public. 859-527-3131. Spend part of your holiday weekend visiting Jefferson Davis State Historic Site to see an impressive collection of reproduction Civil War flags, both Confederate and Union, by Spencer and Linda Brewer of Central City. 270-889-6100. Artists, are you ready to learn how to construct a good composition? This two-day adult workshop is designed for beginning-to-advanced artists seeking more knowledge to enhance and create a beautifully composed painting. The workshop will consist of students learning the fundamentals of a composition and compositional studies in the studio. 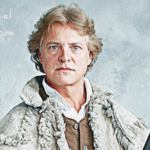 DonÃ¢â?¬â?¢t miss the instruction by the award winning wildlife artist Devere Burt, of Cincinnati. Registration is required. A supply list will be provided. Fee: $60 for both days. Times: Friday 9-4 p.m.; Saturday 9Ã¢â?¬â??noon. 270-826-2247. Cream In-A-Bag. Call for programs, times, and location at (270) 826-4424. Join the recreation staff at Barren River for a weekend full of fun.Ã?Â The park will be ending the Ã¢â?¬Å?summer seasonÃ¢â?¬Â with a variety of activities for campers, guests and visitors.Ã?Â There will be a Leave No Trace Awareness workshop at 10 a.m. on Saturday, Sept. 4.Ã?Â Participants will learn how to be good stewards of the land and will receive a discount card for 10 percent off lodging or camping valid through September 2011.Ã?Â Dave Stahl will be providing live musical entertainment in the campground on Sunday, Sept. 5 at 7 p.m. Nature hikes, reptile shows, fabulous fossil activities and more all weekend long. 800-325-0057. Close out the summer with lots of family fun at Greenbo Lake State Resort Park.Ã?Â There will be crafts, hayrides, a scavenger hunt, mini golf and all sorts of fun-filled activities to keep you busy.Ã?Â DonÃ¢â?¬â?¢t forget the community pool will be open through Sept. 6, so come out and enjoy that last swim of the summer. 800-325-0083. Jenny Wiley State Resort Park will be celebrating Labor Day with several activities.Ã?Â Come build your own Ã¢â?¬Å?Pine Derby CarÃ¢â?¬Â on Saturday morning and then race it Saturday evening.Ã?Â The park will also have a reptile show with the Kentucky Reptile Zoo on Saturday at 5 p.m.Ã?Â DonÃ¢â?¬â?¢t forget to wear your dancing shoes as we will have a Ã¢â?¬Å?heel-clickingÃ¢â?¬Â good time Friday, Saturday and Sunday nights with folk and country line dancing.Ã?Â Other activities include a pet show, tomahawk throwing, arts and crafts, archery, primitive fire starting demonstration, tie-dye t-shirts and much more. 800-325-0142. The end of summer is near so letÃ¢â?¬â?¢s spend the holiday weekend together at Lake Cumberland.Ã?Â The parkÃ¢â?¬â?¢s recreation department has plenty of fun activities planned for the entire family.Ã?Â The park will have activities such as bingo, youth archery, balloon launcher, pool games and a magic show featuring Dave Cottrell.Ã?Â For information, contact Robert Myers at RobertA.Myers@ky.gov or call 1-800-325-1709. Buckhorn Lake is having its annual End of the Summer Celebration filled with lots of fun and excitement for guests. Cool off from the summer heat by enjoying the pool and water games. Have fun drying off during the many yard games and sport activities that will continue throughout the weekend. 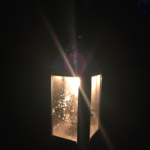 Evening activities will include a campfire and sÃ¢â?¬â?¢mores and much more. 800-325-0058. Cumberland Falls State Resort ParkÃ¢â?¬â?¢s recreation staff will offer a variety of programs Labor Day Weekend, including a hike to Pinnacle Knob Fire Tower, archery, folk dancing, craft programs and more.Ã?Â The community pool will be open from 12 p.m.-8 p.m.Ã?Â 800-325-0063. Join E.P. Ã¢â?¬Å?TomÃ¢â?¬Â Sawyer State Park for the annual NBL/BMX Grand Nationals. Watch the best of the best riders from all over the world. This event is sponsored by Derby City BMX, www.derbycitybmx.org. Ã?Â 502-429-7270. Kenlake State Resort ParkÃ¢â?¬â?¢s Labor Day festivities will begin Friday night, Sept. 3. Come help the park say farewell to Summer. 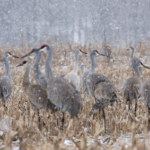 This will be the last weekend of daily recreation/naturalist led activities until May 2011. Activities include Friday night beginning at 7:30 p.m. in the back lobby. 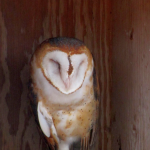 Scott Shupe, an old friend of the park, will bring many of his animals for his live animal presentation.Ã?Â Other activities include junior naturalist programs, guided nature hikes, campfire programs, sports activities, and arts and crafts. End the summer with a live band Sunday night on the front lawn. 800-325-0143. Kentucky Dam Village State Resort ParkÃ¢â?¬â?¢s Labor Day festivities will begin Friday night, Sept. 3. Say farewell to Summer and all the heat and enjoy the last weekend of scheduled daily recreation activities for the year. Activities include tie-dye, an all-you-can-eat Ice Cream Social, Ping Pong Tournaments, Nintendo Wii Tournaments, arts and crafts. 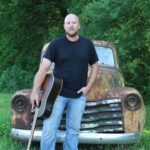 Heath Eric will perform to close out the weekend on Sunday night at 7 p.m. at the campground! Fees for some events. For details contact Anthony.Lawrence@ky.gov or call 1-800-325-0146. Pennyrile Forest State Resort ParkÃ¢â?¬â?¢s Labor Day festivities will begin Friday night, Sept. 3. Come help the park say farewell to Summer. This will be the last weekend of daily recreation/naturalist led activities until May 2011. Activities include junior naturalist programs, guided nature hikes, campfire programs, sports activities, and arts and crafts. DonÃ¢â?¬â?¢t miss Music in the Park on Friday, Sept. 3 at 7 p.m. with local artist Heath Eric. 800-325-1711. 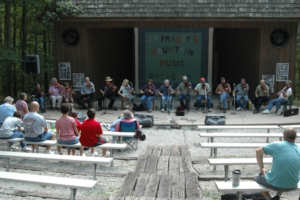 Bring your instruments out to Carter Caves State Resort Park to gather and play music with other local musicians. DonÃ¢â?¬â?¢t play? No problem! Come and enjoy the tunes that local talent has to offer. The pickinÃ¢â?¬â?¢ will be in and around the lobby of Lewis Caveland Lodge from 7-9 p.m. Visit early and enjoy a country meal in the TierneyÃ¢â?¬â?¢s Cavern Restaurant. This event is held on the 1st and 3rd Monday of each month. 800-325-0059. We’re famous (oftentimes, it seems the world over) for the pride of Owensboro, Kentucky – Moonlite Barbecue. And for good reason! Moonlite does barbecue as well as barbecue can be done. The sides are extraordinary, too. I don’t think I could possibly love the potato salad any more than I do. However, there are A LOT of wonderful places to eat in Owensboro, Kentucky that are just as good as Moonlite Barbecue. In fact, we have several barbecue restaurants that’ll lead to many licked fingers and very happy faces. Below is a list of the best places to eat in Owensboro, Kentucky. I’ve linked each to the appropriate website so you can check out the menu, the hours of operation, and (of course) the directions. Naturally, we also have plenty of McDonald’s restaurants, Burger Kings, Wendy’s, Dairy Queens, Taco Bells, Waffle Houses, and KFC’s. Check each restaurant’s website for the locations of each in Owensboro. A few words of advice from a local: The best KFC is the one on Frederica (it’s excellent) and the best Taco Bell is on Parrish (always clean and neat as a pin). Each of our Wendy’s, Waffle Houses, Ritzy’s, Dairy Queens, McDonald’s, and Burger Kings are great. 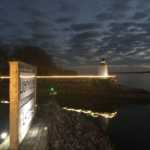 For a more detailed list of Owensboro Restaurants and Restaurant Reviews, click the link. Applebee’s – One of the best Applebee’s anywhere. Trust me, we’ve eaten at just about all of them. O’Charley’s – Delicious steak and unbelievable rolls. 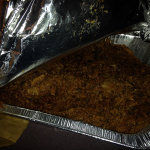 Old Hickory BBQ – Delicious barbecue! The barbecued ham is something I’ve fallen in love with, too – but I can’t “pull” myself away from their pulled pork very often. Really, really, good! Moonlite Bar-B-Q Inn – Famous for a reason. You can taste the excellence and it’s outstanding! Beef O’ Brady’s – Our oldest daughter Emily’s favorite place in town. Very warm and friendly servers and outstanding food. Bob Evans – Fantastic meals with the home-cooked flavor that Bob Evans is famous for. Big Dipper – A “throwback” drive in/drive thru with the best hot dog in all of Kentucky… possibly the world. The burgers and BLT are also out of this world. Buffalo Wild Wings – As locals, we just call it B-Dubs and we’re all completely obsessed with the killer wings and onion rings. Red Lobster – As good as it gets. The cheese bread, alone, is worth the trip. Panera Bread – Everything on the menu is outstanding and you wouldn’t believe how addicted I am to the iced green tea. Amazing! Famous Bistro – Downtown restaurant that everyone loves to distraction. Big city taste – without the big city traffic or headaches! Olive Garden – Gorgeous restaurant with excellent food and one of the best staffs in town. Ninki’s Japanese Restaurant – You can read what I really think of this restaurant by clicking the link! Pangea Cafe and Catering – The Asian Vegetable Wrap is a very close friend of mine. It has to be tasted to be believed – I honestly don’t think mere words could do it justice. Pangea Cafe is one in a million and you’ll love everything about it. Tokyo – Excellent Japanese food without the typical prices. 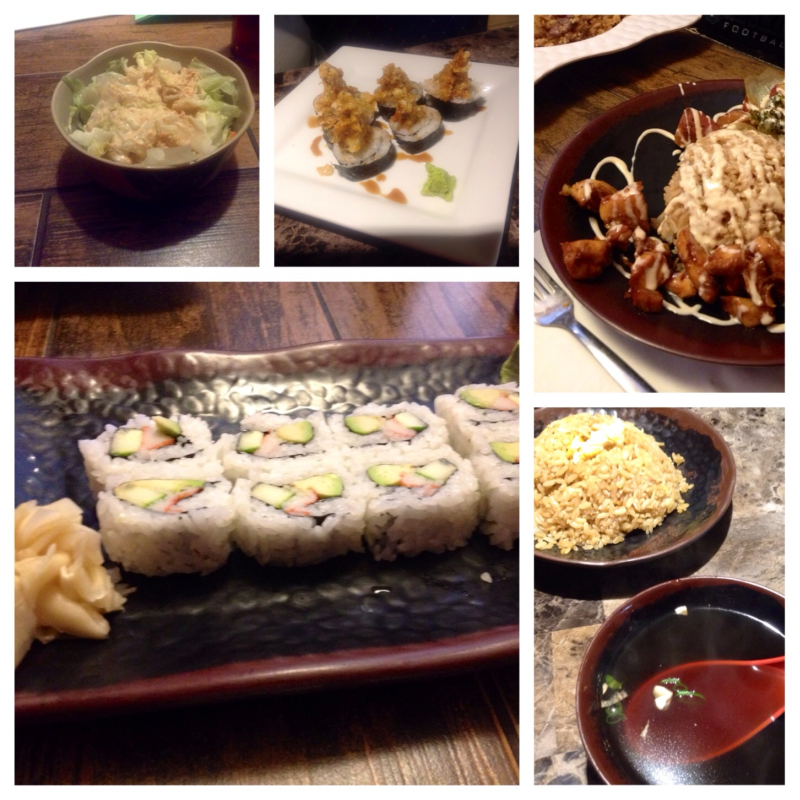 We eat at Tokyo’s regularly and love it. We think of it as Japanese fast food. Ole South Barbeque – Outstanding barbecue! The baked beans are also exceptional. I live in Owensboro and eat barbecue at Ole South Barbecue more than anyplace else. Hong Kong – My husband and I get “take out” from Hong Kong at least once a week. You can also eat in, which we occasionally. Outstanding food and plenty of it. The fried rice, Shrimp Lo Mein, Won Tons, and House Special Soup are a few favorites. We have 2 Starbucks in Owensboro and I more than do my part to keep them both in business. Our main Starbucks is located at 5151 Frederica St. We also have a Starbucks in our beautiful Target on Frederica.